Vegan Salted Caramel Matcha Latte - GetCooking! 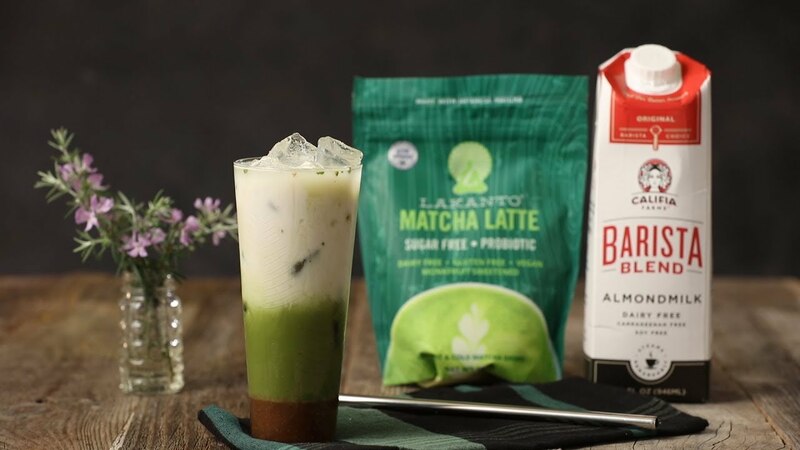 Thrive Market’s – Vegan Salted Caramel Matcha Latte recipe. This drink is a matcha made in salted caramel latte heaven! It starts with a make-ahead vegan caramel sauce (that keeps in the fridge for two weeks) poured into the bottom of a glass. Top it off with a mix of matcha powder and water, ice, and a splash of almond milk. Drink up! We’d love to hear your feedback on this video recipe format in the comments section below! If you used this video to make Vegan Salted Caramel Matcha Latte, please tell us how it went! View the original recipe notes here: Thrive Market’s – Vegan Salted Caramel Matcha Latte.